Hydro Color Tinting Cream flatters all types of skin by providing nourishment and tinting in one product for an evenly corrected, attractive complexion. 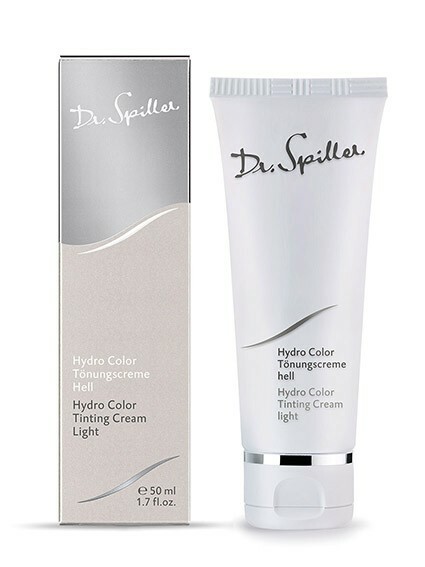 Hydro Color Tinting Cream flatters all types of skin by providing nourishment and tinting in one product for an evenly corrected, attractive complexion. Aloe Vera Leaf Juice sustains and deeply nourishes the skin. It provides full coverage with natural pigments to correct uneven skin tone. This tinted skin care is available in two shades that adapt to the skin tone and help retain the skin’s beauty and radiance. Apply appropriate intensive skin care or active ingredient complex in the morning after cleansing. Follow with Hydro Color Tinting Cream.